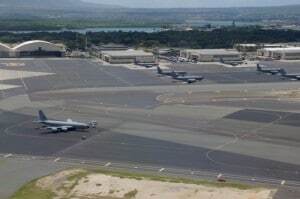 If you’re in the Air Force or Navy, stationed at Joint Base Pearl Harbor-Hickam and considering a military transfer, we know you have a lot to do. Because we buy used cars for cash in Honolulu, we help make at least one aspect of leaving Hawaii easier and less stressful! Many who are in the military desire to grow their careers and their pay. For many who are in the Air Force or Navy, the goal is to focus your skills where they may be the most valuable. As with many other careers, individual skillsets change over time, and you want to grow along with your career. Otherwise, you may find yourself in a rut and dissatisfied not only with your career, but with your salary as well. As you already know, a military transfer generally requires that you get an early discharge from the branch you’re currently in and gain acceptance into the branch you want to transfer to. This isn’t always the easiest thing to accomplish, and proper procedures must be followed so that your efforts are successful. It’s also important to have conversations with your family, and recruiters from the branch of the military you are considering a transfer to. Once your decision is made, you’ll have plenty to do in preparing for the transfer from Hickam Air Force Base. One of the decisions you’ll need to make is what to do with your vehicle. Should you list it online or in the newspaper, shop car dealers around town, or simply look for lemon lots who cater to military personnel? The last option is usually the simplest if you’re looking to sell your used car for cash in the Honolulu area. At CarMark Hawaii, we’ve been in business for a quarter of a century and we cater to those in the Navy, Air Force, and other branches of the military. Whether you need a used car appraisal or are ready to make a deal, we make the process quick and easy. Fill out our online appraisal form, and we can give you cash for your used vehicle immediately, in most cases the same day you come in! 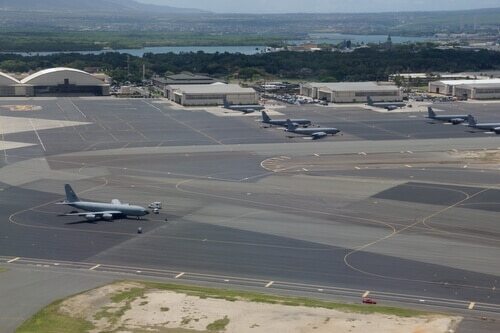 Make it easy on yourself, you have plenty of work ahead of you in transferring from Joint Base Pearl Harbor-Hickam.